Order Don’t Stop Believin’: How Karaoke Conquered the World and Changed My Life by Brian Raftery, available from Amazon.com by clicking on the book cover above! There are only two places that I will sing out loud: number one, if I’m alone; and number two, if I’m driving somewhere with my son. I’ve been singing out loud to him since the first day I drove him alone in the car and AC/DC’s “For Those About to Rock (We Salute You)” came on the radio. Last year, we even started singing a song together, Bruce Springsteen’s “Radio Nowhere.” God bless him, he doesn’t judge me; or if he does, I’m blissfully unaware of it. So I’m not the likeliest guy to host a show featuring a guy whose life was changed by karaoke. I can guarantee you that will not ever happen to me. 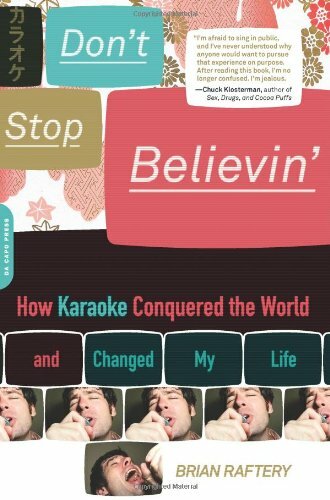 But I have a good sense of fun and the ridiculous, so I invited Brian Raftery, author of Don’t Stop Believin’: How Karaoke Conquered the World and Changed My Life, to join me on Mr. Media tonight. 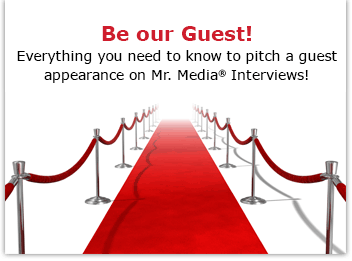 And I’m counting on my audience to step up. Because in addition to talking to Brian about his book, I’m inviting listeners to call in and sing to us. You can sing along to your iPod, Zune, the radio, whatever. I just don’t want to hear your accompaniment. Just you, okay?